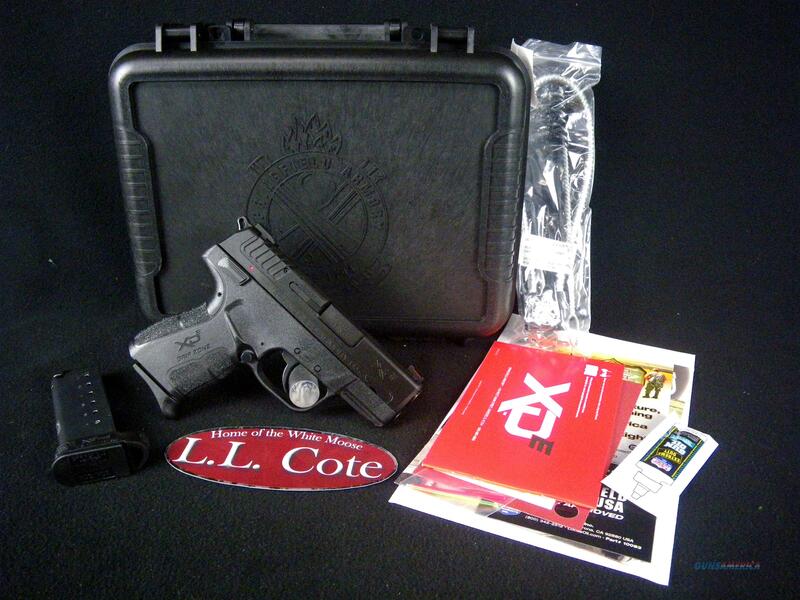 Description: You are bidding on a Springfield XD-E Single Stack in 45ACP with a 3.3" barrel. If you prefer .45 ACP, this is the pistol you’ll never go without. The sleek 1-inch wide polymer frame eliminates printing, paired with a 3.3-inch hammer forged barrel for ideal concealability. The low effort slide system allows for 27% easier manipulation for quicker operation when it counts, while the active grip texturing provides uniquely comfortable yet secure grip contact. A DA/SA trigger, exposed hammer and ambidextrous manual safety/decocker offers peace of mind and various options for mode of carry. Complemented by an easy-to-spot fiber optic front sight. Everything you want in your reliable daily sidearm, now in your first-choice caliber. Displayed images are stock photos. Any questions please feel free to ask (our phone number is in the additional information tab above).